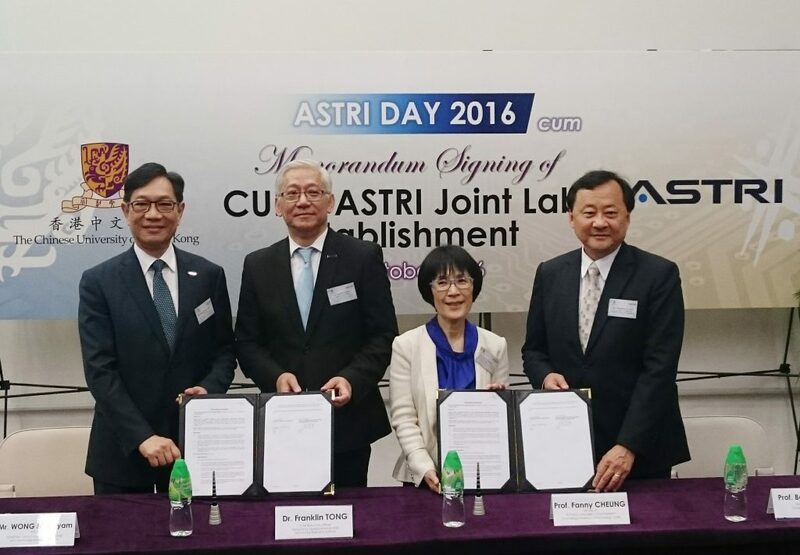 [Hong Kong, 28 October 2016] The Chinese University of Hong Kong (CUHK) and the Hong Kong Applied Science and Technology Research Institute (ASTRI) signed a Memorandum of Understanding (MoU) on Friday 28 October 2016 to set up the CUHK-ASTRI Joint Research Laboratory. The signing ceremony for the Joint Research Laboratory was held at the Yasumoto International Academic Park, CUHK. Dr. Frank Tong, Chief Executive Officer of ASTRI and Professor Fanny Cheung (SBS, OBE, JP), Vice-President and Pro-Vice-Chancellor (Research) of CUHK signed the MoU, witnessed by Mr. Ming-yam Wong (BBS, JP), Chairman of the Board of Directors of ASTRI and Professor Benjamin Wah, Provost and Wei Lun Professor of Computer Science and Engineering at CUHK. 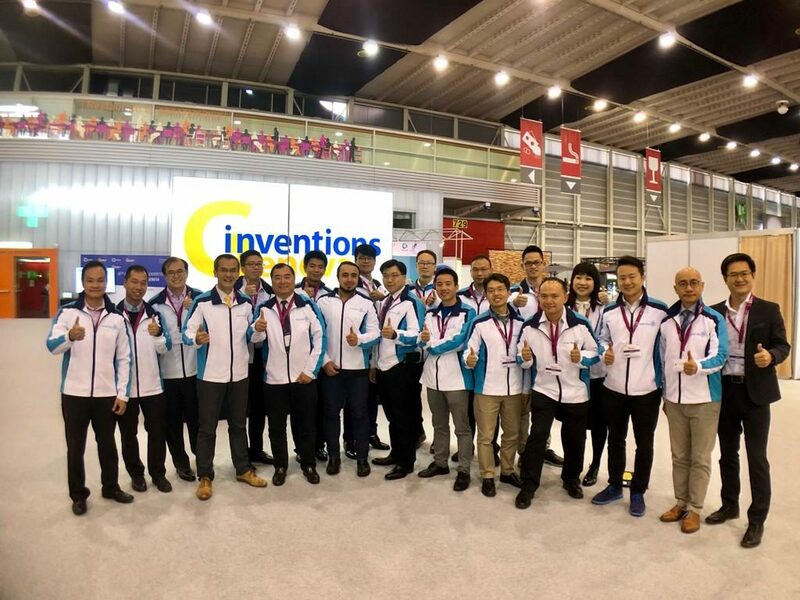 Through this Joint Research Laboratory, CUHK and ASTRI will collaborate in research and development (R&D) projects related to the next generation 5G mobile network, FinTech and intelligent manufacturing. 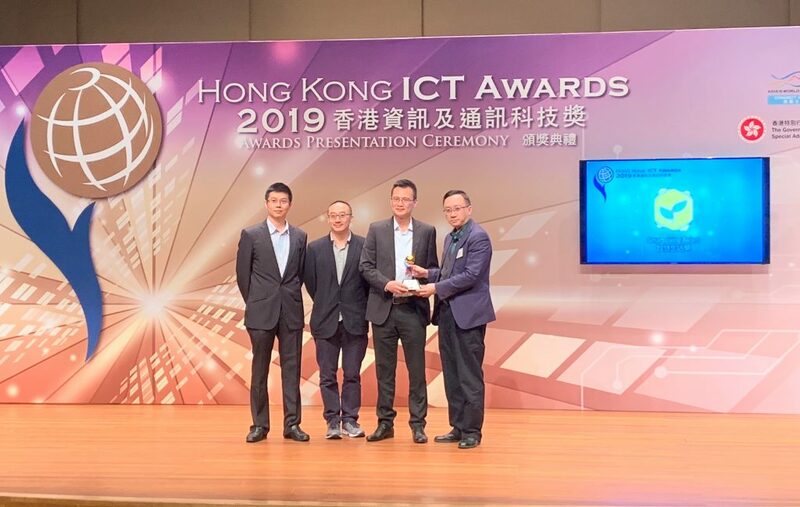 Coinciding with the MOU signing ceremony, ASTRI announced that they will build a next generation 5G mobile network testing platform at the CUHK campus. This MOU is a long term strategic collaboration and many synergies will be created between CUHK and ASTRI. 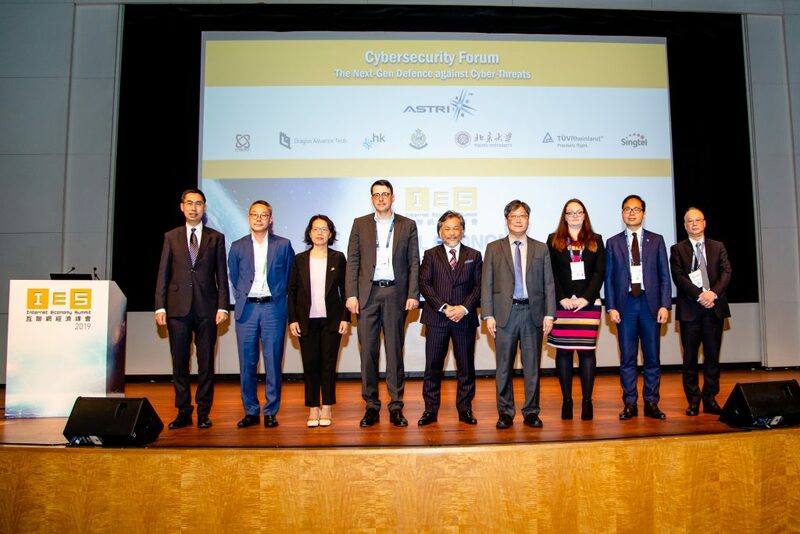 CUHK being a research-intensive university, has engaged in cutting-edge upstream research on high-tech development such as the 5G mobile network, network coding, big data, FinTech, robotics and intelligent manufacturing with potential for commercialisation. On the other hand, ASTRI specialises in downstream applied research and has extensive experience working with industries. Collaboration between them will create a seamless value chain to support innovation in Hong Kong. Another area in which the two institutions have synergy is the development of the talent pool of CUHK students. CUHK’s undergraduate and postgraduate programmes in science, engineering and business produce some of the finest students in Hong Kong if not in the world. 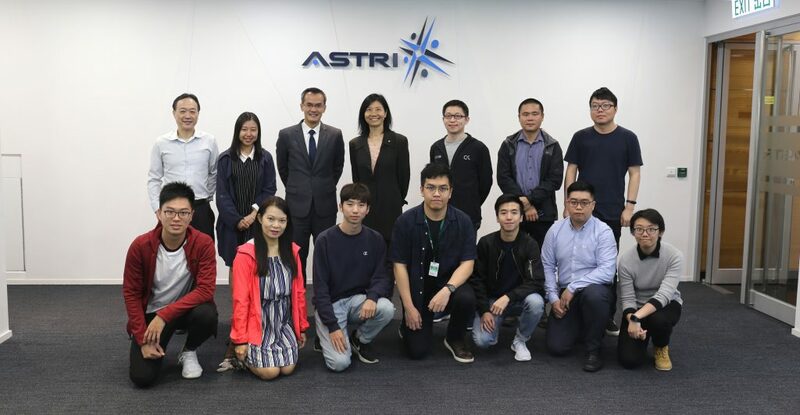 With the practical training gained from ASTRI, CUHK’s students can be a source of innovative business as well as the R&D leaders of tomorrow. Founded in 1963, The Chinese University of Hong Kong (CUHK) is a leading comprehensive research university with a global reputation. Located in the heart of Asia, CUHK has a vision and a mission to combine tradition with modernity, and to bring together China and the West. The University is a federation of nine colleges. College programmes and activities complement the formal curricula by delivering whole-person education and pastoral care. The University has eight faculties: Arts, Business Administration, Education, Engineering, Law, Medicine, Science, and Social Science. Together with the Graduate School, the University offers over 300 undergraduate and postgraduate programmes. All faculties are actively engaged in research in a wide range of disciplines, with an array of research institutes and research centres specialising in interdisciplinary research of the highest quality. Cherry Au of Hong Kong Applied Science and Technology Research Institute Co. Ltd.
Dr. Frank Tong, Chief Executive Officer of ASTRI (2nd left), Professor Fanny Cheung (SBS, OBE, JP), Vice-President and Pro-Vice-Chancellor (Research) of CUHK (2nd right), sign a Memorandum of Understanding to set up the CUHK-ASTRI Joint Research Laboratory, in the witnesses of Mr. Wong Ming-yam (BBS, JP), Chairman of ASTRI (1st left), and Professor Benjamin Wah, Provost and Wei Lun Professor of Computer Science and Engineering at CUHK (1st right).